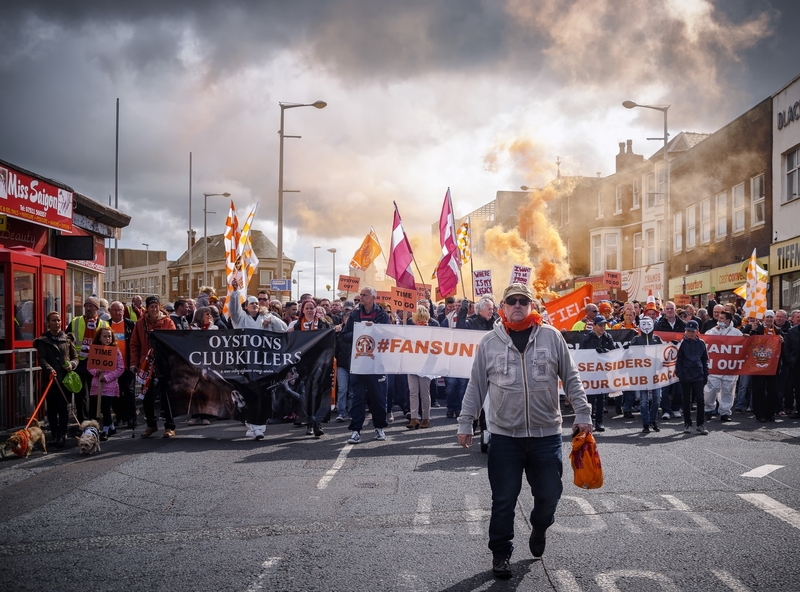 When football clubs choose to embrace a big business approach, they often do so at the expense of their role as a focal point of the local community – a place for traditionally working-class people to gather. In our age of hyper-globalisation, change is inevitable. When it comes to our football clubs, though, what impacts the change and what impact do these changes have on the people who attend the games? There is the gentrification of the city and the gentrification of a football club. To be clear, both mean relatively similar things – the displacement of diehards or natives of a particular area or team, only to be replaced by a more affluent and middle-class demographic or fan. It’s essentially out with the old and in with the new. Problems, like the change, are multifaceted. The change of values is one certainty and it has a profound impact on the key characteristics of the original city or club. For cities that is the character, the pubs, the atmosphere and the feeling. With football it is very similar: there’s ticket price’s increasing, the loss of atmosphere and the feeling of isolation. Whilst not inherently a bad thing, these changes are often implemented with the wrong things in mind. As fans of the game, we must accept this reality, understand it, and find ways that we can more proactively engage with these changes. Profit rules all and is the driving force behind most of it – but what about the people? It’s as much a place as a thing. It’s the personification of working-class pride and identity. The traditional club was somewhere for people to gather that, regardless of what was happening outside, was something you could rejoice around, the stadium was somewhere you could enjoy yourself – shout, sing, jump, get drunk. But that’s all slowly changing. We don’t have any love for our laptop manufacturer or for our phone provider. We might like them or even feel some degree of loyalty, but they’re just brands. Sure, football teams will never be just brands, as their history is still an implicit indicator of their contemporary significance, but they are still brands nonetheless, slowly becoming faceless corporations, ruthlessly run with the mentality of profit over people. Traditional clubs are an endangered species, a thing of the very recent past. They’re not dinosaurs, they’re something we’ve all lived through and all experienced first hand, but can also all attest to the faltering values that are creating a chasm between fan and club. In England, lower league teams are working on creating a new footballing economy. Teams like Dulwich Hamlet or FC United of Manchester have built a parallel plane from which to develop a more idealised version of the sport, harking back to the values we once revered. Unfortunately, they are small fish in a large pond. These clubs are making a statement and are attracting more new fans every year, but for now it remains on the outskirts of the game. German clubs have a rule whereby fans must own over 50 percent of the club. This allows decisions to be made with the fans in mind – giving power to the people and allowing larger clubs to operate like a local not-for-profit. Borussia Dortmund have cheap tickets, beer and food; they also have standing seats. They too can be seen as a traditional club, but one that is being run in a very progressive way – a torchbearer for other clubs around Europe. Although the cool area of London is constantly changing, the east has become a desirable place to live and work over the last decade. This cool status, the influx of young creatives, and the demand for housing was a driving force in West Ham’s Upton Park being knocked down to make way for flats – the cheapest of which is £360,000. The 112-year-old ground is now no more than rubble, a fertile bedrock for yet more flats in London. The new utopic vision for the area comes with an equally quaint and pretty name: Upton Gardens. Their ground managed to survive being bombed in the Second World War, but succumbed to the ruthless hands of post-Thatcher neoliberalism. That they have been cast aside, now merely borrowing a place to play, means that any aggravation or any loss is magnified exponentially by the fact that the fans feel like strangers in their new home. If you bully a dog into the corner, expect it to bite. In a tribal environment that draws strength from packs, isolation is the most debilitating sanction to place on humans. The three biggest London clubs will all have had new grounds in the past two decades. Tottenham will move into theirs soon and Chelsea in a few years – Arsenal’s came over a decade ago. West Ham don’t have that security. The irony is that they’ve sold their home, despite being a product of their east London environment. To maintain their essence, they need to find a home in east London – the exact place that they are contributing to their regeneration of. They’ve been priced out of their own home and they’ve made it more difficult for themselves to get one back. For West Ham fans, this is a slow and painful way to watch a club die. Gentrification is simultaneously a symbol of growth and modernisation, and a by-product of the cut-throat rise of the neoliberal economics of the 1980s. To think that it wouldn’t reach football was rose-tinted optimism from fans and long-game thinking from the Tory politicians who plotted to stamp out any semblance of working-class solidarity, whether through music, football or any other subculture. Gentrification happens everywhere, so why should football fans expect preferential treatment exempting them from change? Should we be listed by some kind of heritage law, protected as custodians of a culture? Well yes, in a sense we should. If you don’t understand the importance of holding onto a footballing culture and retaining our stadiums as a place of community, then you were never one of the dedicated fans anyway. Unfortunately, it is these people leading the procession of change. Read | Is there any magic left in the FA Cup? The predatory nature of landlords, prizing profit above all isn’t new, but when it destroys something that goes far beyond leather boots and a few chants, they’re not just planning for a better future – they’re rewiring an entire city’s cultural DNA. In the long run, the results could be devastating. New grounds are built to make lawyers, doctors and fans of Nick Hornby’s Fever Pitch feel comfortable, to reassure them that they are taking part in an authentic match day experience. The homogeneity of these grounds ensures that their experience is no closer to life than a safari trip is to seeing lions run in the wild. Tottenham Hotspur’s new stadium plan revealed their strategy to create a setting more attractive to certain classes. It’s impossible to explain the significance a football stadium has to a football fan – it’s somewhere between the pulmonary artery and the heart itself. Comparisons to places of worship abound; they’re clichéd for a reason. Contemporary developers have failed to see this and have instead worked on creating a certain prestige around a club. Exclusivity is beginning to outwrestle inclusiveness. Football clubs aren’t businesses and in fact don’t actually function very well as one. A lot of Britain loves football, but only a relatively small amount engage with it in a way that makes the club money. Most consume football at the pub, in newspapers and playing computer games. Apart from licensing and rights, these don’t translate to direct merchandise sales. Financial Times writer Simon Kuper elucidates: ‘That’s the paradox of the football industry: so visible, and yet so little. Football’s problem is what economists call appropriability: clubs can’t make money out of (can’t appropriate) more than a tiny share of our love of football.’ It’s with this in mind that, as globalisation has blazed a trail for obscene profits at any cost, football clubs are now wringing out every last drop from fans (now ‘spectators’) as they can. As we can see from the new plans for the Spurs ground, these places are geared up to have customers circulating in the same way as a supermarket. It wouldn’t be at all surprising if you were compelled to pass through the gift shop – the club store – before you left the ground. Critics of the ground online have it looking like somewhere between a university library and an airport – two places one would think of as the opposite of a football ground. They’ve used parts of the old ground, like bricks, to cling onto some vestige of the past, but it has fallen short for many fans’ expectations. This is just one of many new anodyne structures being built for football fans to spend a couple of hours in every other week. That’s not much time to generate profit, so they’re making sure to make to squeeze every drop. By gerrymandering their demographics to accommodate a more affluent crowd, clubs risk fracturing the social dynamics of the nucleus. By changing something that isn’t broken is akin to saying ‘we don’t want these people here anymore’. This diversification of football fans could tear apart the foundations of the club’s community, quarantining those who have been ticket holders from the start. It begs the question: why would anyone want to take something so integral to the functionality of its host society away? As is so often the case, when something bad happens, the tragedy is exploited for political gain. Whenever there is a recession, or even a boom, prices go up disproportionately yet subtly enough to slip by unnoticed. These events best serve those who have the ability to affect immediate change. Such was the case with the Hillsborough disaster in 1989 where 96 people lost their lives. This ushered in a new era for footballing economics, disguised under the veil of safety that alleged to have the fans in mind. The Taylor Report that followed the disaster in 1990 set forth to implement all-seater stadiums in the top two tiers of English football. Two years later, Rupert Murdoch’s BSkyB won the rights to broadcast the newly-formed Premier League with a £304m deal over three years. Fans of the games had all of a sudden become customers in a new league that favoured the business-minded approach that characterises sports franchises and leagues that we’d more keenly associate with the United States. Within a period of a few years, everything had changed – a whirlwind of comfort and formality was thrust upon the game. What was presented as positive and necessary changes were more like an elaborate ruse to transform the game into something that can be easily packaged. When the truth about Hillsborough was made public, revealing that the fans weren’t to blame but gross negligence from the police was, the tragedy started to seem like part of an elaborate scheme to extract yet more money from those least able to afford it, and to sanction a part of society that the Tory government saw as a problematic nuisance. English football did need to take some steps towards modernisation, that’s granted, but one must question the motives behind their chosen tactics and haste to do so. Rex Nash points out in The Sociology of English Football in the 1990s: Fandom, Business and Future Research, that, ‘Apart from the obvious consequences for the composition of the match-day crowd, the potential impact is to fracture the social networks that historically informed fandom: these networks were formed around active attendance, such that their demise changes forever these fans’ relationship with the game.’ The intentional manipulation of the people who watch games could have potentially catastrophic outcomes for the dynamics of the actual event, thus having a further knock-on effect to the way we will be sold the match-day experience. As with other behavioural-modification-via-economics models, they are pricing people out, changing the experience, tailoring the sport to reach the pinnacle of purchase-per-person. 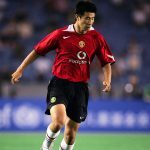 Nash continues: ‘Clubs have long priced tickets so as to exclude certain classes of fans, the 1990s were characterised by deliberate moves by top clubs to exploit their position as global brands.’ In the current hyper-money world of football, the Abramovich-era of tycoons and sheikh’s using the sport as their playground. This has never been clearer or moved faster. Ten years ago it would have been absurd to imagine a player worth half a billion or for season tickets to be scraping a thousand pounds, but fans are so enveloped in the culture that barely anyone blinks an eye. Those who have decided that enough is enough are choosing to vacate their club, or at least stop attending as regularly, to watch teams in the lower divisions. Eduardo Galeano in Soccer in Sun and Shadow highlights the cultural significance of the sport: ‘An astonishing void: official history ignores soccer. Contemporary history texts fail to mention it, even in passing, in countries where soccer has been and continues to be a primordial symbol of collective identity. I play therefore I am: a style of play is a way of being that reveals the unique profile of each community and affirms its right to be different.’ As the traditional unwritten and undocumented values of football in its traditional incarnation are being systematically wiped out, our tribal nature, present in politics and religion, becomes subdued. Unfortunately, as it’s devolving from its cultural roots and becoming a homogenised pantomime, it begins to lose its cultural value too. 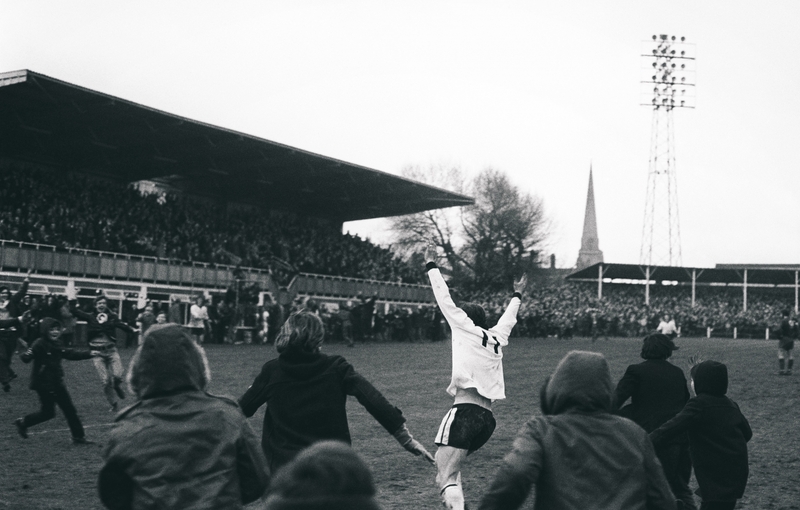 The football we romanticise of the 1970s, 80s and 90s had its flaws, but instead of ironing them out, we mutated and magnified them. What football could have been seems to be further away than ever before. As the sport begins to lose its identity, so do we as fans. Allowing the clubs and their grounds to be taken away from us, World Cups to be held in countries that have no history of football, and catering for the insane prices that it costs to be a fan nowadays, means that these emotional narrative stories will become diminished to the point that we are onlookers to a sport with little resemblance to the one we knew. The stories that surround the game, the things that really mean something, will be a footnote in footballing history. This dissatisfaction with the impending vacuum came to a head recently when fans of West Ham invaded the pitch of their ground. 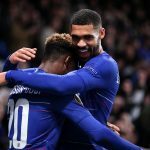 The 3-0 loss to Burnley was enough to bait the reaction – a protest against their essentially bleached history. 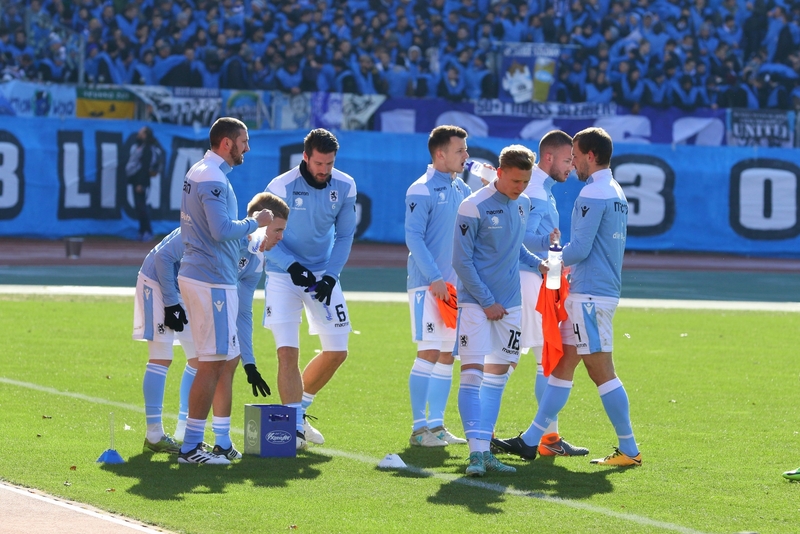 The incident provided a lookbook for contemporary football. 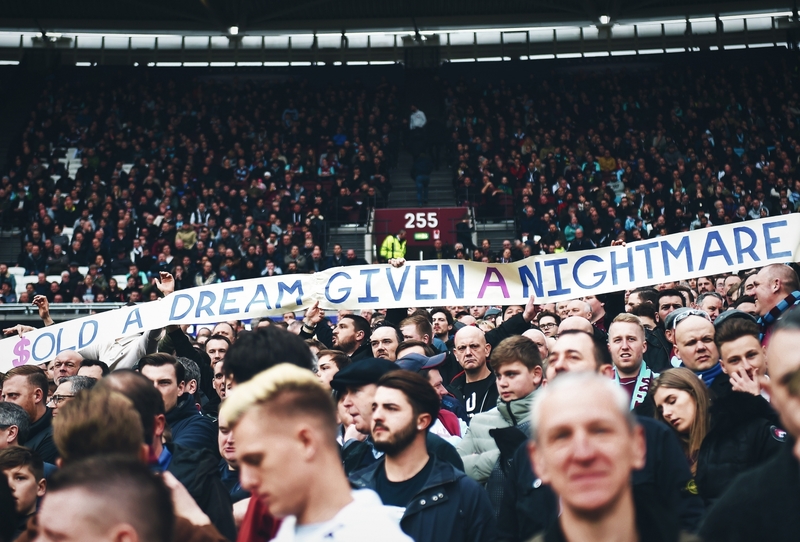 There was the fan raising the corner flag aloft, Mark Noble angrily throwing another to the ground, and the most cover-worthy, the banner held aloft that read, ‘Sold a dream, given a nightmare’. Read | Must German football clubs sacrifice tradition in the quest for glory? There’s no way to condone violence of this sort, but isn’t it understandable that people backed into a corner are bound to lash out? The game to them seems devoid of the components that made it significant to their lives. As T.S. Eliot wrote, ‘We had the experience but missed the meaning.’ The board at West Ham just don’t seem to understand it, though. They’re looking for lifetime bans for every fan that invaded the pitch. This move could be the wolf’s breath on the straw door. The club has been in disarray on and off the pitch since their move. 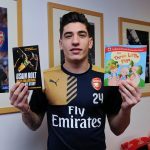 The fans’ behaviour is reminiscent of kids reacting to bad parenting – it always begins at the top. They’ve been sold a lie, their passion and loyalty taken advantage of, and they feel so helpless that they’ve acted in the only way that might make people listen to them, in doing so, maligning themselves and becoming pariahs in the eyes of the press. Although fans are feeling more sequestered than ever, all hope should not be considered lost. The Against Modern Football movement laid the groundwork for fans’ dissatisfaction to be heard, now it’s imperative to articulate them in such a way as to make the clubs listen. The Twitter brigade is on the vanguard of this change, but it’s thus far largely falling on deaf ears. Like the trade unions of the past that fought their own battle against cultural erosion, some level of organisation is essential. To move on, it must be crystal clear what fans want and what they don’t. Borussia Dortmund fans have just done it with their 25,000-person walkout in protest against Monday fixtures. Why can’t this be replicated? Money is the native language of the people in positions of power. Utilising their mother tongue may be the best form of defence against their homologous dreams. The German 50+1 ownership rule protects fans from the plethora of problems modern football has amassed. It facilitates a shift of power towards the fans. If football is to reach its potential and maintain its place as a pillar of society, such a move is entirely necessary and has been proven effective. 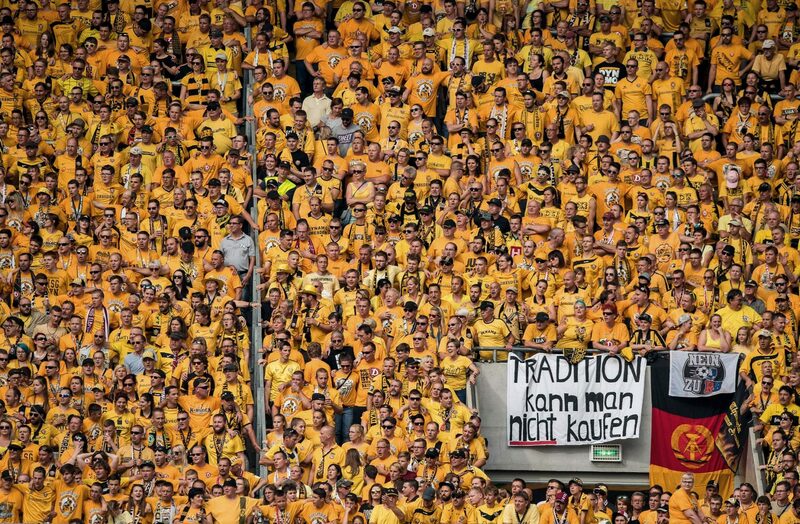 It’s imperative in German football that fans stay close to the club – to remain as fans and not as customers. The exact opposite sentiment is prevailing in other leagues around the world. Principles are a rarity in the game, but are incidentally exactly what is required. They must be upheld by fans, clubs and shareholders alike. As football fans we’ve paid our dues in urine-soaked shoes, numb backsides or stiff-backs and frostbitten fingers. We waited the whole of half-time for a lukewarm part-cooked pie and we drunk our body weight in Bovril in the hope we wouldn’t succumb to pneumonia whilst waiting for the TV highlight of the goal. What is being pardoned as economic progress is essentially the footballing equivalent of the Highland Clearances – a systematic destruction of a culture deemed unworthy, only to be replaced by one that helps billionaires justify their investments and expedited by a new class of fan. Simply put, fans aren’t getting the real football experience. It’s either completely sanitised or hyper-real – an imitation of the real thing, packaged to feel like a game of football should. The reaction to the new Spurs ground and the recent fan embodiment of collective ire at West Ham have shown that supporters are no longer willing to accept playing second fiddle to investors. They are willing to act, but act soon and appropriately they must, because change is coming like a landslide and we are already half-buried.